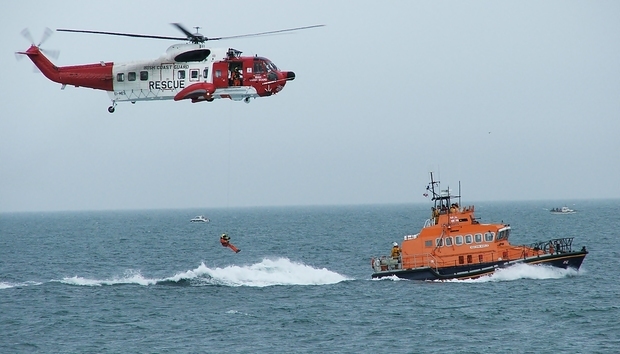 As a charity dedicated to providing volunteer search and rescue services around the coasts of the UK and Ireland, the Royal National Lifeboat Institution (RNLI) isn’t the first name that springs to mind when someone says “innovation”. But last year the 190-year-old organization became the first major UK charity to accept Bitcoins and moved into the cutting edge of 21st century financing. Soon after that, the RNLI created a Bitcoin Wallet and a dedicated donation page. Announced in late July, this made it the first UK charity to accept the digital currency and caused a stir in the press. This in turn translated into donations and in the first week the RNLI collected 4.442646165 BTC, or about £1500 ($2300) from over 130 sources. Today that figure stands at around £2500 ($3700), and over £100 ($150) in 2015 already. Aside from the money, a big boon from accepting Bitcoin are the new audiences. “We want to reach out to new supporters who might not be aware of our work but by saying, “Hey, we accept Bitcoin," they might take a look at the RNLI and go, "Whoa! These guys are someone I want to support long term," Williams says. “We've had hundreds of Tweets about it and lots of messages on places like Reddit, where people have said they think it's great that we're doing this. We've also had loads of comments where people say, ‘I wasn't really aware of the RNLI before, I had a look and actually you guys do some great work’." Williams says that in the week following the RNLI’s announcement, he was made aware of at least two other major charities who are in various stages of looking at Bitcoin, and in the months since, Greenpeace, the American Red Cross and Save the Children have all started accepting. “If it matches what they want to do, I think there's potential in the future for Bitcoin, particularly for more international-based charities in terms of being able to move money overseas,” explains Williams. Since then the company has added the ability to send donations through Tweets using Change Tip, but there’s no plans to expand to other Altcoins for now. Williams says that when the idea first came up, people were asking about its legality, HMRC's position, and how these are good things to know before you set up a wallet. “This [Bitcoin] is quite new - and internally some people weren't familiar with it as a technology and what it could potentially offer in the future. Giving that knowledge to other people was probably the biggest challenge.” As part of its introduction, Williams spoke to various internal audiences, made announcements via intranets as well as written education pieces for staff. “There are things that we look at that may or may not become reality. At the moment we're looking at different technology areas, and the innovation program is the mechanism by which we can ask the question; "what does this new or emerging technology mean for the RNLI?" Emphasising that there are no commitments or definitives when looking at these technologies, he cites Unmanned Aerial Vehicles (UAVs) as an example. "Some people internally weren't familiar with Bitcoin and what it could offer. Giving that knowledge to other people was probably the biggest challenge." “UAVs have been used across a number of different sectors - conservation for example, for the identification of poachers in Africa. In search and rescue, if you've got someone who's gone overboard at sea, how can you use a fixed wing or rotary wing air vehicle to increase your chances of finding someone sooner before they're overcome by the powers of the waves? A UAV with heat seeking or Infra-Red capability, they could certainly help us find those people before that happens.